Bill Windsor has filed a Motion to Dismiss the Montana criminal charges against him for lack of jurisdiction. There are many reasons why the charges are improper, such as Bill Windsor has never committed a crime, but one of the more outrageous things about this case is that Bill Windsor was charged with committing crimes in Montana when he was in Texas. The law on jurisdiction is quite clear. Montana courts do not have jurisdiction (and there were no crimes). 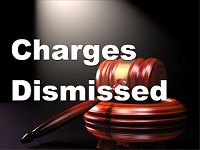 William M. Windsor has been simultaneously charged with five protective order violations that took place on five distinctively different dates over a nine month period in 2013 and 2014. (See DC-14-509 Docket # 1, 2, 3, 4, and 5.) William M. Windsor was in Dallas, Texas on each of the five dates. The Information filed in this case does not claim otherwise. There has never been a protective order in Texas. William M. Windsor was served with a Temporary Order of Protection (“TOP”) in favor of Sean Boushie while visiting Montana on August 23, 2013, but the TOP expired. Sean Boushie attempted to obtain a protective order in Texas but failed. Montana Code states clearly that Montana orders of protection are valid only in Montana. William M. Windsor was in Dallas, Texas at the time of each of the alleged violations. The alleged violations are not against the law in Texas. By statute, the ex parte TOP is invalid in Texas. William M. Windsor committed no violations in Montana. William M. Windsor was wrongfully arrested and brought to Montana to stand trial on the charges. This Court has no jurisdiction over William M. Windsor’s actions in Texas. From February 2012 through August 23, 2013, Sean Boushie of Stevensville Montana cyberstalked, harassed, and threatened William M. Windsor and the family he used to have. The crimes and stalking of Sean Boushie are provided in the Affidavit and exhibits to William M. Windsor’s Motion to Quash Bench Warrant filed in this case. This is referenced and incorporated herein as if attached hereto – DC-14-509 Docket #7. On August 4, 2013, Sean Boushie attempted to shoot William M. Windsor as he drove from Butte to Missoula Montana. William M. Windsor received an email from Sean Boushie saying he had shot at him and missed. William M. Windsor attempted to get law enforcement or the courts to do something about the crimes of Sean Boushie, but nothing was done. On August 13, 2013, Sean Boushie filed an ex parte Petition for Temporary Order of Protection against William M. Windsor in the Missoula Municipal Court. Virtually nothing in the Petition was true. On August 15, 2013, Judge Sam Warren of the Missoula Municipal Court issued a bench order dismissing the petition of Sean Boushie. On August 21, 2013, Sean Boushie filed another ex parte Petition for Temporary Order of Protection against William M. Windsor in the Missoula Municipal Court. Virtually nothing in the Petition was true. On August 23, 2013, Judge Sam Warren of the Missoula Municipal Court granted the Petition for Temporary Order of Protection of Sean Boushie. William M. Windsor was served with the Temporary Order of Protection on August 23, 2013. The Temporary Order of Protection says it expired on September 16, 2013. William M. Windsor left Missoula on August 23, 2013 and left Montana on August 26, 2013 after two days of filming in Great Falls. On August 26, 2013, William M. Windsor appealed the Temporary Order of Protection to the Fourth Judicial District Court in Missoula County Montana. On December 26, 2013, William M. Windsor filed a civil lawsuit against Sean Boushie and the Joeyisalittlekid Gang in Ellis County Texas. This is Case #88611. On December 23, 2013, William M. Windsor filed a civil lawsuit against Sean Boushie and the University of Montana in the United States District Court for Montana. This is Case #13-311-M-DLC-JCL. On February 6, 2014, an email was sent to Claudia Denker-Eccles, corporate counsel for the University of Montana, with notice of the filing of an affidavit of Mary Wilson in Case #13-311-M-DLC-JCL. On May 4, 2014, an article was published on LawlessAmerica.com in the name of William M. Windsor. The article was about Sean D. Fleming of Madison Heights Michigan. It included the words “Sean Boushie” in a public legal document that was reprinted in the article. On July 4, 2014, an article was published on LawlessAmerica.com in the name of William M. Windsor. The article was about Sean D. Fleming of Madison Heights Michigan. It included the words “Sean Boushie” in a public legal document that was reprinted in the article. No hearing was ever held to consider if the Missoula Montana Temporary Order of Protection should be made a permanent order of protection. On October 2, 2014, the website www.seanboushie.com was active on the Internet, just as it had been every day since August 23, 2013. The content never changed. Sean Boushie is the accuser in this case. The cyberstalker and would-be killer of William M. Windsor is now the person that the Missoula County Attorney’s Office, Missoula Police Department, and Missoula Courts are protecting from exposure as a criminal by trying to send William M. Windsor to prison. William M. Windsor has been producing and directing a documentary film, Lawless America. William M. Windsor has named Montana the most corrupt state in America. William M. Windsor is confident that the reason this bogus case exists is to try to stop Lawless America…The Movie from reaching theaters and to try to stop William M. Windsor from exposing corruption and that Sean Boushie is a paid government stalker protected by the University of Montana, Montana law enforcement, and Montana courts. William M. Windsor was picked up on the Bench Warrant in Ellis County Texas on October 28, 2014. He knew nothing of the alleged charges when he was incarcerated in the Ellis County Texas Jail. William M. Windsor has never resided in Ellis County Texas; he was there as the plaintiff in a civil action. William M. Windsor has never “resided” in Montana prior to March 25, 2015 when he was incarcerated in the Missoula County Detention Center. He is not registered with the Montana Secretary of State to conduct business in Montana. He did not have an office, warehouse, or any other facilities in Montana. He has never had a telephone listing in Montana. He has never had any employees in Montana. He has never owned any real estate in Montana. He was not in Montana from August 26, 2013 to March 25, 2015. He did not work with anyone in Montana to perform any duties for him during the times specified in the charges against him. William M. Windsor has never knowingly or purposely violated a protective order. William M. Windsor never waived extradition when he was taken from Ada County Idaho Jail to the Missoula County Detention Center on March 25, 2015. A. THE ALLEGED CRIMES WERE COMMITTED IN TEXAS, SO MONTANA DOES NOT HAVE JURISDICTION. William M. Windsor was in Dallas, Texas on each of the dates specified for the five counts of violation of a protective order. He was not in Montana from August 26, 2013 until March 25, 2015. None of the alleged offenses were committed in Montana. MCA 46-3-110 HAS BEEN VIOLATED. Therefore, as a charge must be filed in the county where the alleged offense was committed, the charges would have to be filed in Dallas County Texas, and they were not. In this case, there was only one act in each of the five counts. The acts constituting or requisite to the consummation of the five charges against William M. Windsor did not take place in Montana. The allegation in Count IV was an email sent from Texas. The conduct constituting the offense: sending an email. The location of the commission of the alleged criminal acts: Dallas Texas. This email was required by Federal Rules of Civil Procedure Rule 5, and it was not intended to produce detrimental effects within the state of Montana and did not cause detrimental effects within Montana. William M. Windsor never attempted to commit an offense within Montana, and the State has no evidence that he did. B. IT IS A VIOLATION OF WILLIAM M. WINDSOR’S CONSTITUTIONAL RIGHTS FOR THE STATE TO CLAIM JURISDICTION AND VENUE IN MONTANA. …the Constitution’s venue requirement was adopted to shield a federal defendant from “the unfairness and hardship” of prosecution “in a remote place.” United States v. Cores, 356 U.S. 405, 407, 78 S. Ct. 875, 2 L. Ed. 2d 873 (1958); see 3 J. Story, Commentaries on the Constitution of the United States § 1775, at 654 (photo. reprint 1999) (Boston, Hilliard, Gray & Co. 1833) (observing that object of Constitution’s vicinage clause is to prevent “accused from being dragged to a trial in some distant state”). In this case, William M. Windsor was dragged 2,400 miles to Montana to stand trial. Where, as here, a defendant is charged with multiple crimes in a single indictment, the government must satisfy venue with respect to each charge. See United States v. Beech-Nut Nutrition Corp., 871 F.2d 1181, 1188 (2d Cir. 1989). In considering whether the government has carried this burden, we begin by determining the locus delicti of the particular crime at issue, employing the two-step analysis set forth in United States v. Rodriguez-Moreno, which seeks first to “identify the conduct constituting the offense,” and then to “discern the location of the commission of the criminal acts.” 526 U.S. at 279-80; see also United States v. Cabrales, 524 U.S. 1, 6-7, 118 S. Ct. 1772, 141 L. Ed. 2d 1 (1998) (“[T]he locus delicti must be determined from the nature of the crime alleged and the location of the act or acts constituting it.”); United States v. Ramirez, 420 F.3d 134, 138 (2d Cir. 2005). To comport with constitutional safeguards, we have construed this language to require more than “some activity in the situs district”; instead, there must be “substantial contacts,” considering “the site of the defendant's acts, the elements and nature of the crime, the locus of the effect of the criminal conduct, and the suitability of each district for accurate factfinding.” United States v. Reed, 773 F.2d 477, 481 (2d Cir. 1985); accord United States v. Royer, 549 F.3d 886, 895 (2d Cir. 2008). Further, to support venue, what is begun or continued in a district must be a part of the actual charged crime, not merely steps preparatory to the crime. See United States v. Tzolov, 642 F.3d at 319; United States v. Beech-Nut Nutrition Corp., 871 F.2d at 1190. There must be a crime committed in Missoula County Montana for this Court to have jurisdiction. There were no crimes committed in Montana. C. THE TEMPORARY ORDER OF PROTECTION WAS INVALID IN TEXAS, SO WILLIAM M. WINDSOR DID NOT VIOLATE IT. The Temporary Order of Protection was invalid in Texas, so William M. Windsor did not violate it. Sec. 88.003. JUDICIAL ENFORCEMENT OF ORDER. (4) was rendered after the respondent was given reasonable notice and an opportunity to be heard consistent with the right to due process, either: (A) before the tribunal issued the order; or (B) in the case of an ex parte order, within a reasonable time after the order was rendered. There was never a hearing on the Temporary Order of Protection matter, as is required by Montana law. The Temporary Order of Protection was issued ex parte, so it was invalid in Texas. William M. Windsor has been simultaneously charged with five protective order violations that took place on five distinctively different dates over a nine month period in 2013 and 2014. (See DC-14-509 Docket # 1, 2, 3, 4, and 5.) William M. Windsor was in Dallas, Texas on each of the five dates. There has never been a protective order in Texas. William M. Windsor was served with a Temporary Order of Protection while visiting Montana on August 23, 2013, but the TOP expired and was never valid in Texas. Montana Code states clearly that Montana orders of protection are valid only in Montana. William M. Windsor was in Dallas, Texas at the time of each of the alleged violations. The alleged violations are not against the law in Texas. By statute, the ex parte TOP is invalid in Texas. William M. Windsor committed no violations in Montana.William M. Windsor was wrongfully arrested and brought to Montana to stand trial on the charges. This Court has no jurisdiction over William M. Windsor’s actions in Texas. D. THIS COURT HAS NO JURISDICTION OVER WILLIAM M. WINDSOR AS HE WAS UNLAWFULLY ARRESTED AND BROUGHT TO MONTANA AGAINST HIS WILL. William M. Windsor was brought to Missoula County Montana from Ada County Idaho. Idaho Code 19-4508 provides that a person being held for extradition to a demanding state must be served with a Governor’s Warrant from the demanding state. William M. Windsor was never served. Idaho Code 19-4510 provides that a person being held for extradition to a demanding state has the right to contest a Governor’s Warrant by filing a petition for writ of habeas corpus. William M. Windsor filed his Second Petition for Writ of Habeas Corpus with the Idaho Supreme Court on March 24, 2015. William M. Windsor was unlawfully transported to Missoula County Montana on March 25, 2015 before the Idaho Supreme Court could consider his Second Petition for Writ of Habeas Corpus. As William M. Windsor was unlawfully transported to Montana to be arrested in Missoula County, this Court has no jurisdiction over him. WHEREFORE, William M. Windsor prays that all charges be dismissed due to lack of jurisdiction and improper venue; and for such other relief as the Court feels is appropriate.